6 Management Tricks You Can Learn From Jon Snow Without Beheading Anyone. Game of Thrones has some applicable management lessons, even if you don't have the power of life or death. Games of Thrones has taken the world by storm and it's not just from an entertainment perspective. People from all walks of life are learning a variety of skills from the HBO television series, and chief executive officers are no exception. 1. Always value your team. During the season finale, Jon Snow is accompanied by Davos, Sansa and the Northern Houses, giving them a strong chance of surviving through the winter months. Jon Snow would not be able to achieve this without his team, a valuable lesson for any leader. The key to being a CEO and managing a company is valuing the team members that help you make it happen. Remember, you may have the vision, and you need the right minds to bring it to life. I'm sure nobody expected or wanted Jon Snow to let the Wildings cross the wall, but he knew that winter was coming and that he could not keep Winterfell safe from the Night's King; he decided to stop the White Walkers from increasing their numbers by getting people out of their reach. Sometimes, the most unlikely alliances are the most intelligent ones. As a CEO or member of a management team, you must do what's best for your company and your team. Create partnerships where they will offer value to your organization. 3. Motivate others to achieve common goals. Jon Snow's main goal is to save the North, along with his friends, family and loyal followers. He wanted everyone to work towards a common goal: to survive the war against the Night's King and the unbearable winter months. This valuable sense of passion and drive is something all CEOs should have and embrace. If you're the CEO of a company, you need to share your passion with your teams to motivate them towards a common goal. Aside from making your organization more productive, you'll create a deeper connection with the people you beside. 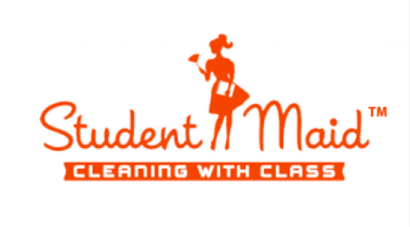 “It all started with a pair of jeans,” says Kristen Hadeed when talking about Student Maid, Inc., the cleaning and concierge company she founded in 2009. The company, which only hires students, is located in Gainesville, Florida. As a 19-year old undergraduate student at the University of Florida looking to buy a new pair of jeans she couldn’t quite afford, Kristen embarked on a journey that started with cleaning houses in between classes. Her goal at the time: earn enough money by cleaning to purchase that coveted (and expensive) pair of denims. After being hired for a large cleaning project near the university campus, she saw how much of an opportunity there was for a reliable, trustworthy cleaning service in the local community. Kristen believed this void could be fueled by college students—like her at the time—looking to earn money and experience while focusing on school. With a mindset of “we are here to help,” Student Maid was born, and Kristen hasn’t looked back since. Do you sell your brand online? Bullen can help. The Bullen Companies is pleased to announce its new Bullen Fulfillment Services division (BFS). BFS is a comprehensive solution to distributors that want to sell via ecommerce to sites like Amazon, Jet.com, Ebay, Etsy and many more. Bullen provides the product manufacturing of your brand and the expertise in getting the product to market with your preferred vendor. There is no need for you to purchase the product, have it shipped to your location and then ship it to the vendor. Bullen’s BFS can eliminate a step, reduce freight cost and other fees associated with servicing ecommerce sites. Only 40 days left of Summer, get outside and enjoy it!